Although learning to accurately sketch is a long standing goal, composing pictures from what I see is an important goal too. Action sketching requires a kind of imaginative planning that I find difficult. Drawing real people who move about in a setting like the conference I just attended and drawing highway scenes as we move along the interstate force me into imaginative planning, since nothing holds still long enough for me to capture it exactly as it is. People shift positions or get up and move out of the room. Mountains, highways and clouds fly past in an instance. My job is to capture bits and pieces of what I see and put it together in a way that says something about the experience. These three sketches show our progress today from the middle of Nevada to the middle of Wyoming. All are sketched in a sketchbook from the front seat of our camper. 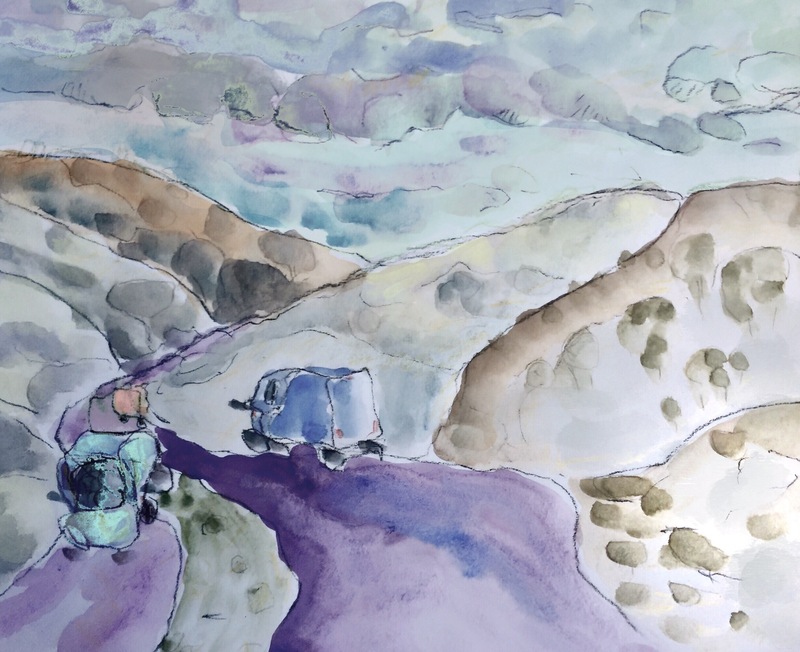 The Nevada sketch is on watercolor paper with watercolor and pencil, the Utah sketch is on black paper with gouache and pastel pencil, and the Nevada sketch is on watercolor paper with gouache. 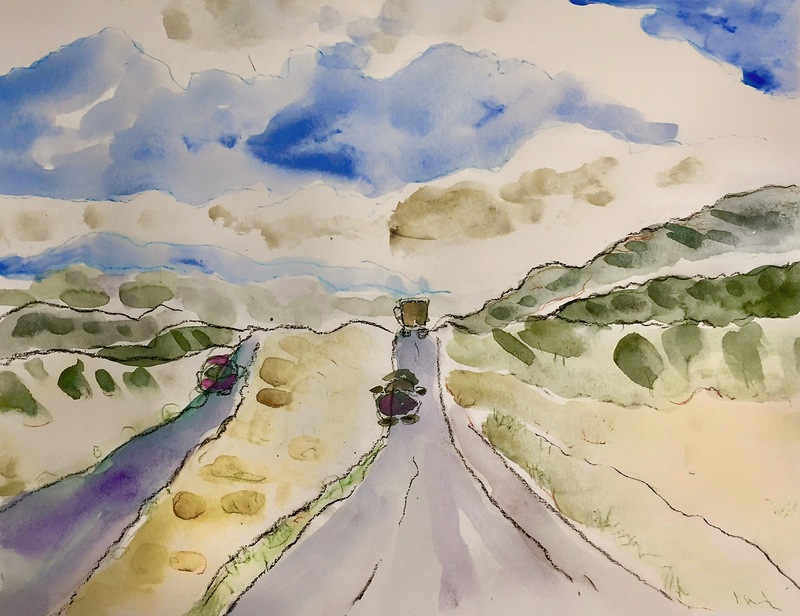 This entry was posted in Deliberate Practice, Landscape, Telling a Story and tagged Action Sketching, Highway, Landscape, Nevada, Utah, Wyoming. Bookmark the permalink.